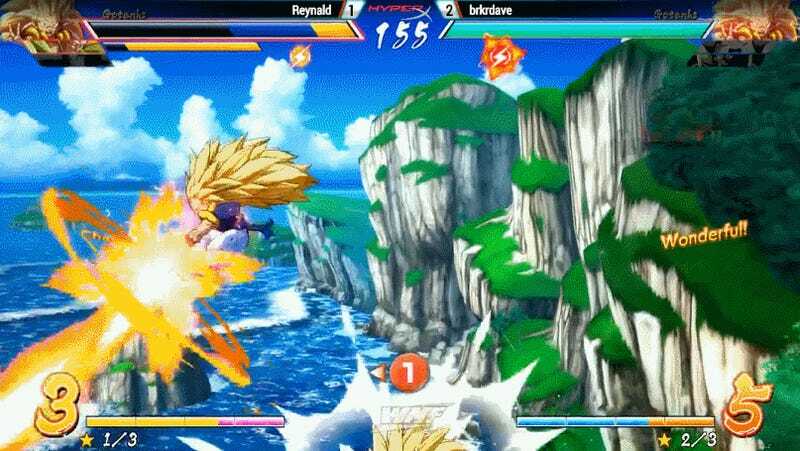 Reynald landed a high-flying Dragon Ball FighterZ combo at Wednesday Night Fights last night, finishing it with a huge Android 16 dunk from off-screen. Gotenks’ model actually disappeared for a split-second before being plowed into the ground due to some unknown bug. Fighting games!